Six race weekends are on the schedule of Europe’s fastest racing series in the coming season. At Assen, BOSS GP will support the DTM, at the finale the series will return to Imola. The 25th season of the BOSS GP starts with the Jim Clark Revival in the Hockenheim Motodrom. The event from 26 to 28 April is devoted to the Formula 1 legend who died in an accident at Hockenheim. The event is one of the most important classic racing events in Europe, and in 2019 the BOSS GP will once again be the main event of this highlight. On the second race weekend from 23 to 25 May, the BOSS GP will be making a guest appearance in the new home of the racing series. At the Red Bull Ring in Austria, the Big Open Single Seaters will share the program with the KTM X-Bow Battle for the first time. The sports car racing series is one of the strongest one-make championships in the world. The event at Spielberg takes place from Thursday to Saturday. 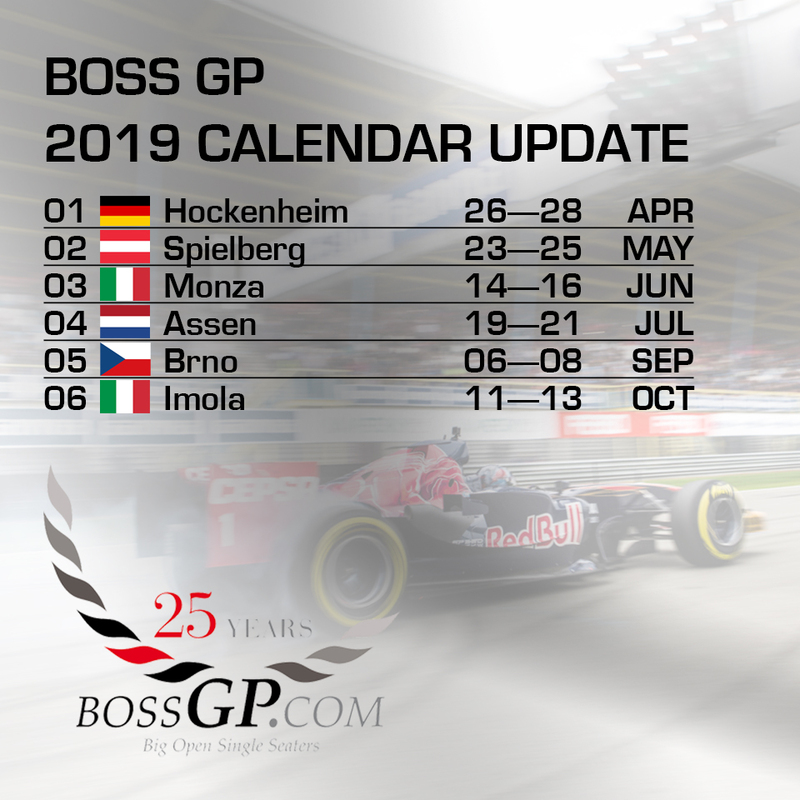 In June (Update: 14–16 instead of 21–23) the first of two Italian appearances of the BOSS GP 2019 will take place at the Autodromo Nazionale Monza. On Italy’s fastest motorway, the adrenaline level will rise as always, because besides skill, the drivers will also need a lot of courage. Another highlight in the 2019 calendar is the popular event in Assen (Netherlands). Instead of the Gamma Race Days, this time the BOSS GP will be part of the DTM programme (19 to 21 July). 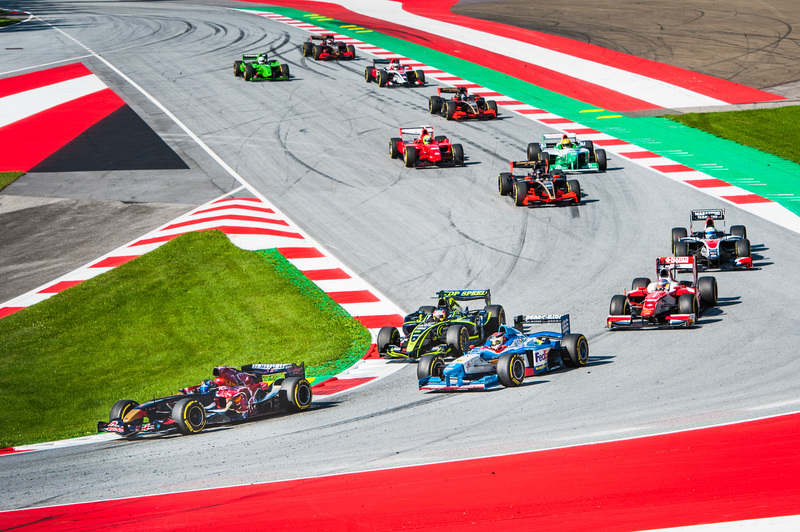 Last year, BOSS GP and the German premium touring car series had already contested the event together in Spielberg, and now the partnership is being extended. From September 6th to 8th, the BOSS GP will once again attend the Masaryk Racing Days in Brno. The Czech racetrack attracts with a roller coaster that is well appreciated by the drivers. The most exciting races of 2018 took place here. The BOSS GP will return to Italy for the final round of 2019 and to Imola after a one-year break. The races will take place on the former Formula 1 track from 11 to 13 October. In the calendar planning, particular importance was attached to extending the intervals between the individual events and dividing the races into seven months. There will be a summer break in August. As usual, every race weekend will have two races of 20-25 minutes each, in addition to training and qualifying. The exact schedules will be published at www.bossgp.com before the races.